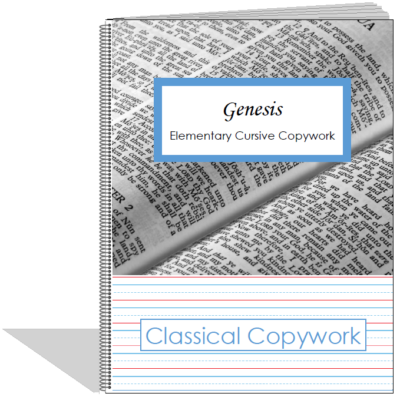 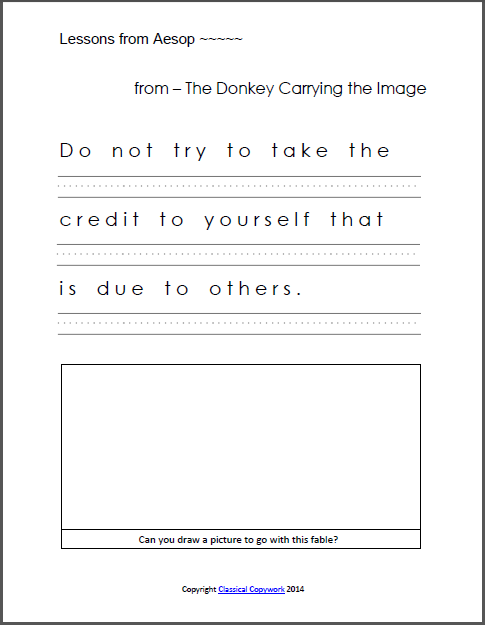 These copywork pages are from Aesop for Children. Each fable has a corresponding lesson, and these pages are those lessons. 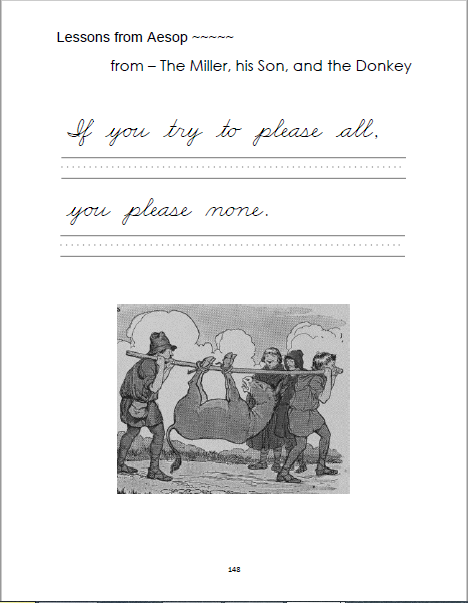 Beginner (198 pages) – The lines are about 5/8th inch tall with a mid-line to help your child position their letters correctly. 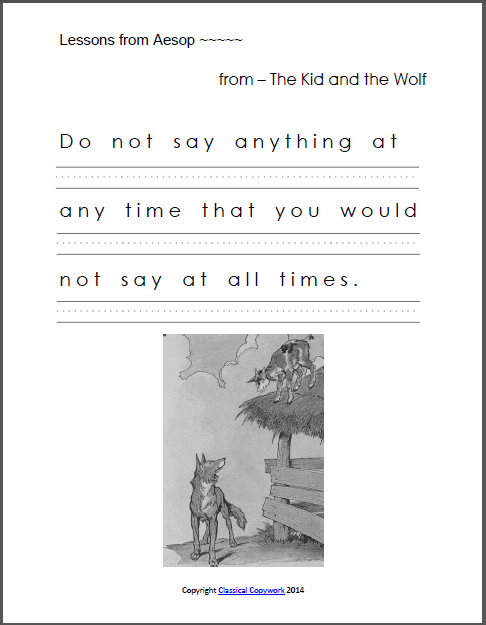 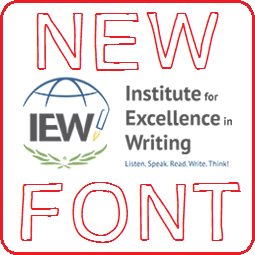 Elementary (147 pages) – The lines are about 3/8th inch tall with a dashed mid-line to help your child position their letters correctly. 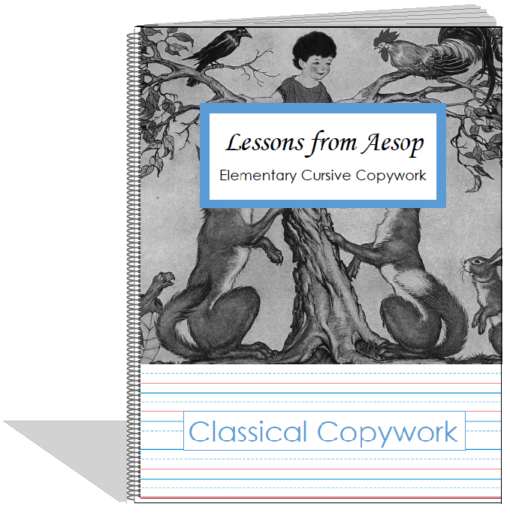 These pages are a perfect complement to your Ancient Greece studies, but are also great copywork pages for any child as they provide thought provoking lessons for your child.